How important is it for a girl or a woman to be aware of her body? Our bodies undergo quite a few changes as we grow and experience different phases of life. If you're not aware of these changes, you may feel uncomfortable and may even develop misconceptions about them. Simply put, the more you know about the changes that your body goes through, the more confident you will feel about knowing yourself and tackling the myths and misconceptions that you encounter about your body in everyday life. 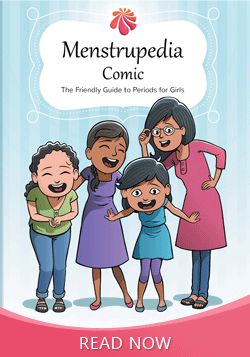 Why is menstrual hygiene and management essential for girls and women?